Transitions such as retirement, and the decisions that accompany them, are often experienced and dealt with as part of a couple. But models that support people to manage change as they age tend to focus on individuals. That’s why we developed Couple 50+ MOT, previously known as Retiring Together: a model that helps couples use their relationship as a resource to build and maintain wellbeing and resilience in pre-retirement. The idea is to allow couples to address, proactively, the issues surrounding this transition, supporting them to prepare for the future in partnership. Couple 50+ MOT from Tavistock Relationships involves four sessions over four weeks with a skilled therapist. The sessions allow couples to reflect on past changes, discuss expectations for the future and build on their learning to prepare for transitions that lie ahead. A film showing a couple progressing through the intervention was designed by our clinical team and used as a course prompt and homework. The model was developed after extensive research and consultation with other agencies working on transitions, including the Transitions in Later Life (TiLL) Learning Community. We also worked with three couples as case studies, to help design and develop the model and the training required for delivery. After developing the model, we focused on training agency staff to deliver the intervention. Our clinical team developed a free one-day training workshop for staff in relevant external agencies. There was considerable interest from clinical organisations but less response from corporate agencies. Nine participants attended, almost all of whom were clinical therapists familiar with psychodynamic psychotherapy/counselling. As most participants were new to couple work, there was a focus on helping trainees to ‘think couple’, which included role play exercises. All nine participants reported that the training had increased their knowledge and confidence in working with couples. Following extra class-based learning, trainees were place into clinical supervision groups to continue their training. Trainees were encouraged to seek their own couples, to develop the referral pathway in their existing services. At Tavistock, we also facilitated referrals, through producing flyers and publicising the intervention on our website and twitter account. We wanted this service to act as a preventative relationship ‘MOT’ check-up for 50+ couples, enabling them to avoid potential issues and breakdown in the future. However, recruiting people pre-crisis is challenging, as many people underestimate the benefits or relevancy of such an intervention. Another difficulty in recruiting suitable couples was overcome with insight from the TiLL Learning Community. The use of the term “retirement” can be off-putting, and advertising in local newspapers as a service for couples aged 50 years+ was more successful in attracting suitable clients. 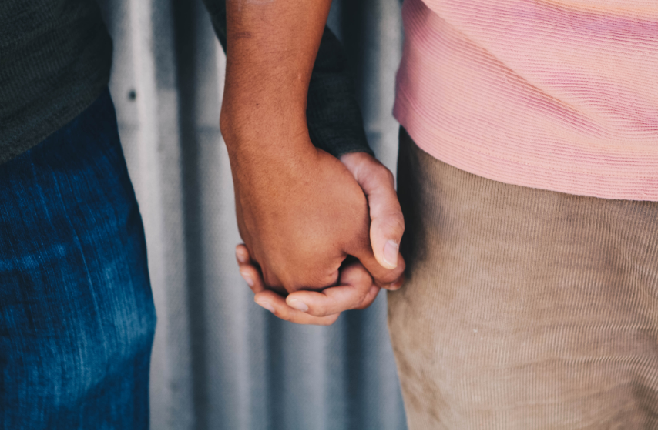 The brief duration of the intervention may also appeal to couples who might fear what external relationship support might entail – possibly helping to overcome the stigma of seeking support. In the end, ten couples were seen by the pilot service – none of which had previously had therapy and/or relationship support. felt more able to communicate to each other with clarity to find solutions to dilemmas. Advisory board experts in the field were also impressed by the range and depth of the work. This has been encouraging feedback in support for two aspects: 1) using a time-focused approach and 2) working with therapists without couple experience. The programme was so well received that participants were happy to be featured talking about it as part of an in-depth article about relationship MOTs in later life in the national press. The piece, from the Daily Telegraph Magazine, Stella, can be read here. We intend to carry out further piloting, disseminate the model and testing, and undertake an evaluation of this work. The issues of loneliness and reduced wellbeing in retirement are resonating more widely in society, and there is growing political interest in the mid-life agenda. This all adds to the future potential of this model being widely replicated, meaning more couples can work towards the future, together. Tavistock Relationships is an internationally renowned charity for advanced practice, training and research to support couples, individuals and families. The Calouste Gulbenkian Foundation (UK Branch) supported the Couple 50+ MOT/Retiring Together pilot as part of its Transitions in Later Life programme, which helps people in mid to later life feel better supported to manage changes as they age.